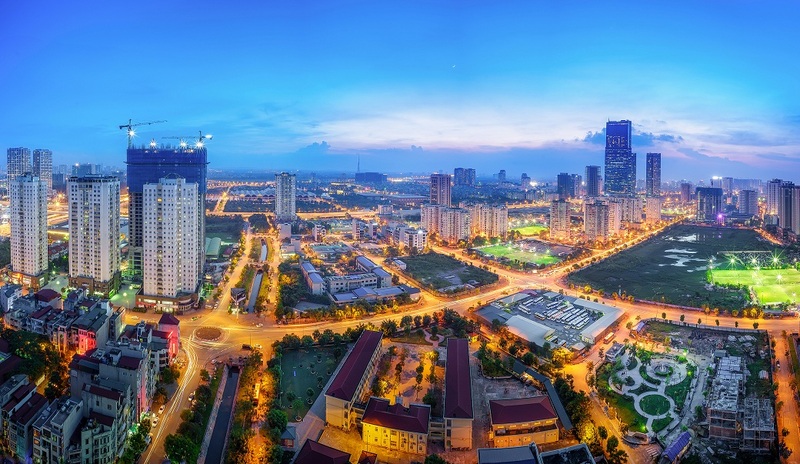 Hanoi has developed a strategy and roadmap to build a smart city by 2025, along with the project titled “The smart city ICT architecture for Hanoi”. Hanoi is developing this smart city with the goal of building an e-government. Hanoi has rolled out a public service portal to provide online services and is aiming to have 80% of online public services at advanced levels by the end of 2019. The city will use online registration for newly- established enterprises at the rate of 100%, e-customs at the rate of 100%, electronic tax declaration and social insurance at the rate of over 98%. In regards to urban transport, Hanoi has built and put into operation the Centre for Urban Traffic Management and Operation for many years now. The city has also deployed an itinerary management application on more than 100 bus routes. The city is currently finalizing their smart transport scheme, concentrating on digitizing infrastructure and transport, building software and applications for traffic management and handling violations automatically.